Another fabulous HIMYM polish! Pulling. It. Off. 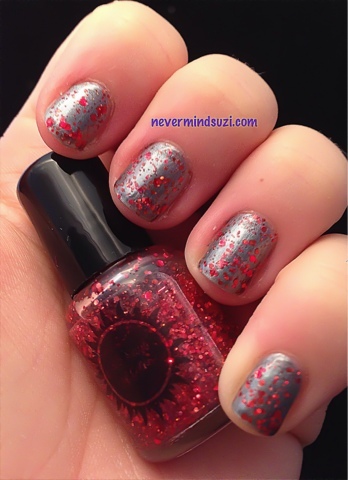 is a clear base with an array of red glitter. 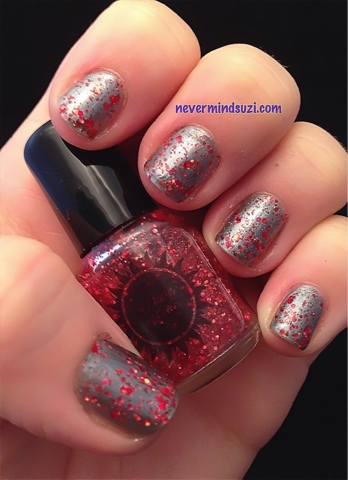 I'll admit in the bottle I assumed it was just another red glitter but its a stunner on. I wore this over Bondi - City Slicker, a steele grey with a lovely smooth finish.